Each year since 2000, the Institute for Family-Owned Business recognizes family-owned, Maine-based businesses through its Maine Family Business Awards on June 5, 2019. The gala attracts family businesses large and small with an audience of over 350. 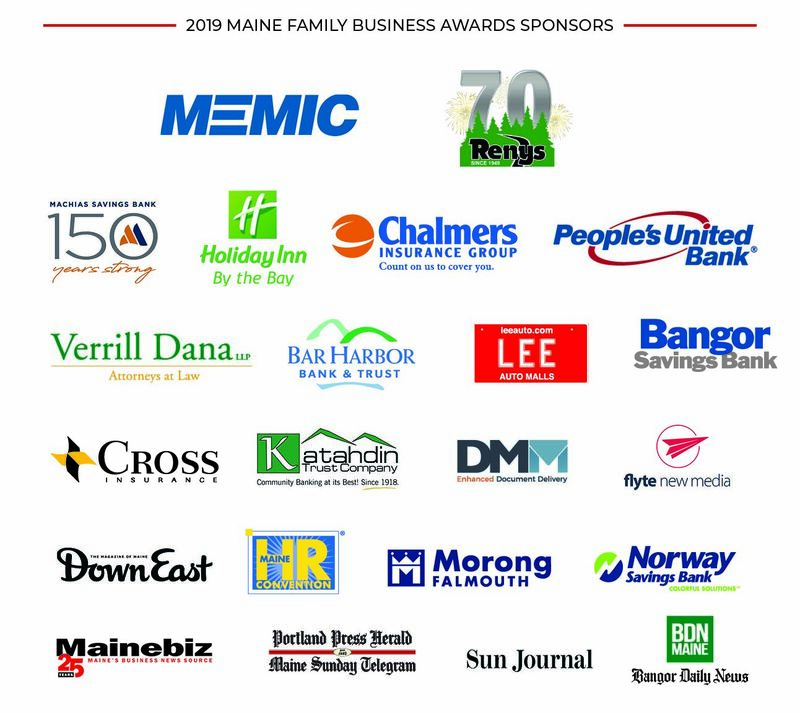 The Maine Family Business Awards is a celebration that pays more than just recognition; it serves as a vehicle for networking and opening up all shades of possibilities for families seeking to grow their business. Click here to register to attend! Now in its 20th year of recognizing family businesses with the awards, we present them in partnership with MEMIC. Since its inception, 89 businesses have been recognized for various categories of excellence. One comment, may best capture the essence of the awards, and in many ways describe the Institute: "While applying for the awards, we discovered a lot about ourselves…and that alone made the effort worthwhile."